Spring in Texas is legendary for fields upon fields of wild bluebonnets, roadsides covered in bluebonnets, and backyards with bluebonnet patches. Newspapers publish subscriber's bluebonnet photos, Internet sites track where the latest bluebonnet fields are blooming, and every small town provides bluebonnet trail maps. 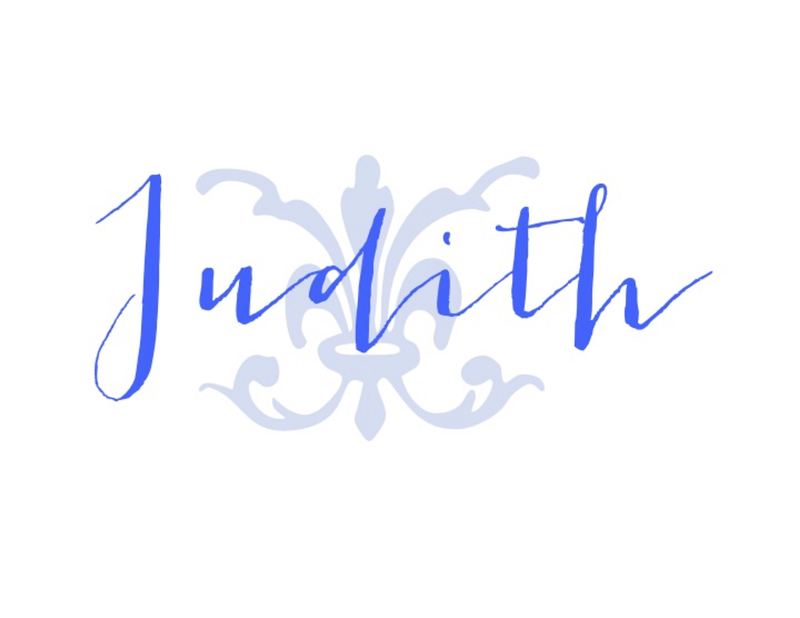 Bluebonnets are spectacular, and seeing them in bloom was destined to become one of the rituals of my life each spring the first year I saw my first bluebonnet patch. Bluebonnets became one of the redeeming features of living in Texas. You see, Texas became home after marrying a long tall Texan who was serving in the US Navy in the Washington, D.C. area. Before ever visiting Texas, Texas became my home, and my impressions of Texas were all based on second- and third-hand accounts from movies, books, television shows, and friends' and new family tales of Texas. Not all of those impressions were positive. Have you ever seen The Last Picture Show, a black and white movie, set in a dying small west Texas town populated by townspeople who have affairs with each other, single and married? Their lives were unfulfilled with lost hopes and dreams. The most indelible scene in my mind shows a tumbleweed blowing across a dirty empty street with dust swirling across barren flat land in the background. We saw this movie the night before I was to have major surgery just three weeks after our wedding. Going to the movie was supposed to cheer me up, but instead drowned me in a sea of despair, causing me to cry as I asked my new husband if this was what Texas and the people were really like. He reassured me that this was not what Texas was like. Of course, after moving to Texas two years later, I discovered Texas was populated by good, kind-hearted people and was not black and white. 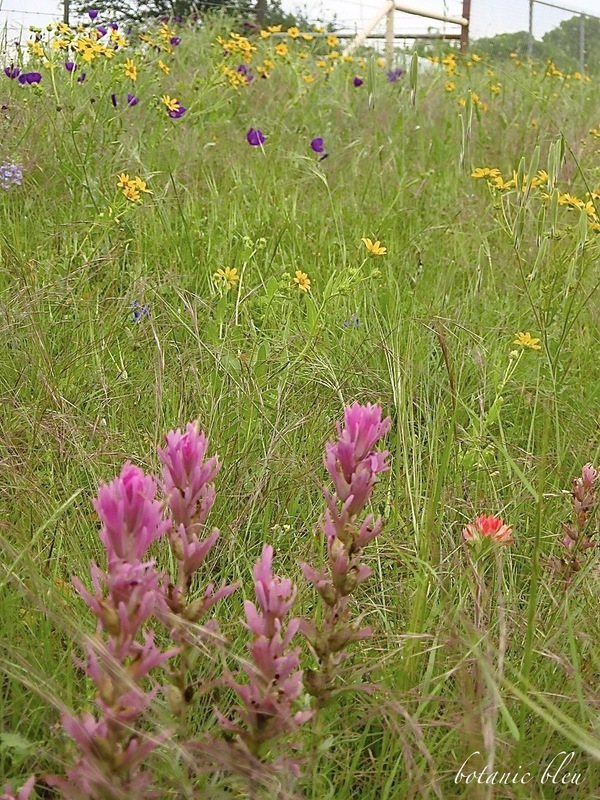 Indeed, each spring the land comes alive with stunning shows of multi-colors in wildflowers. Bluebonnets are only the first act. 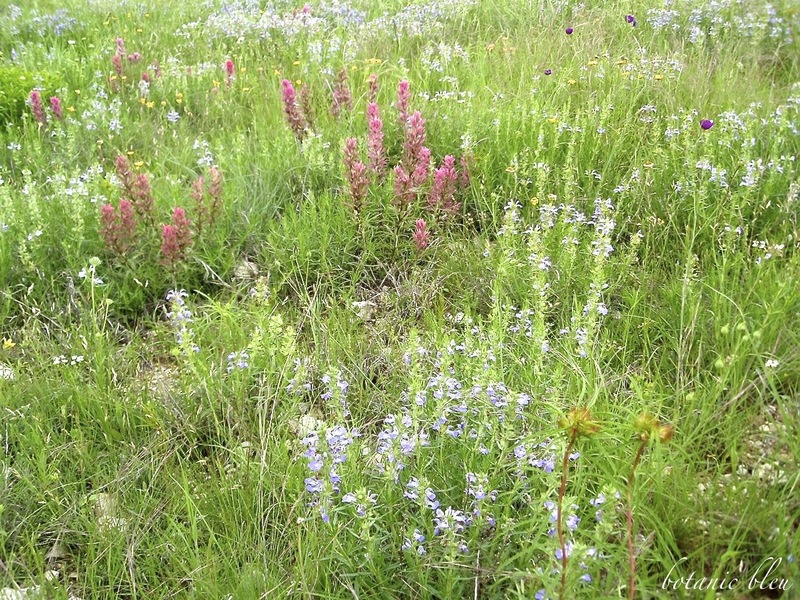 More than 5000 blooming plants make Texas their home, and each spring my spirit is renewed as I make pilgrimages just to look at what is blooming. To drive slowly along, windows rolled down, head and arms leaning out to try to spot every bloom, and to spot the unusual is an annual ritual. 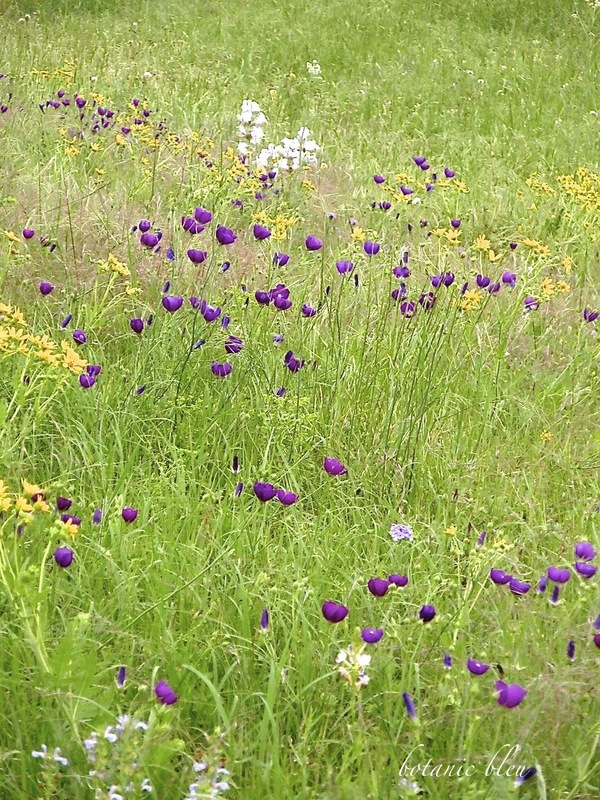 Over the years, together my long tall Texan and I discovered the beauty of Texas wildflowers. While he had seen them for years while growing up in Texas, he had never really looked at them before our outings. 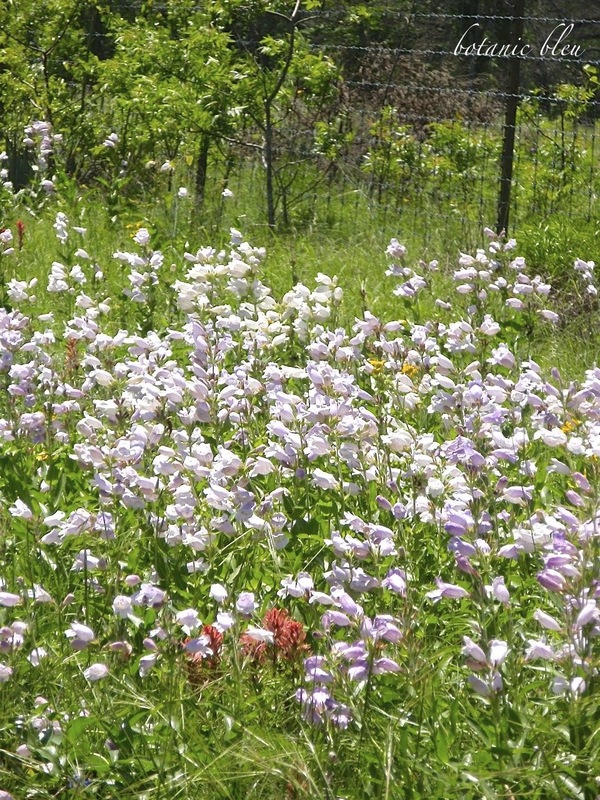 Growing up in Alabama, spring meant cultivated flowers such as dogwoods and azaleas, but not showy fields of wildflowers. Over the years, many a dogwood tree, azalea, and peony died in our yard in the Texas blazing summer heat as I tried to grow the plants from my childhood. Others have grown these successfully, but I cannot. 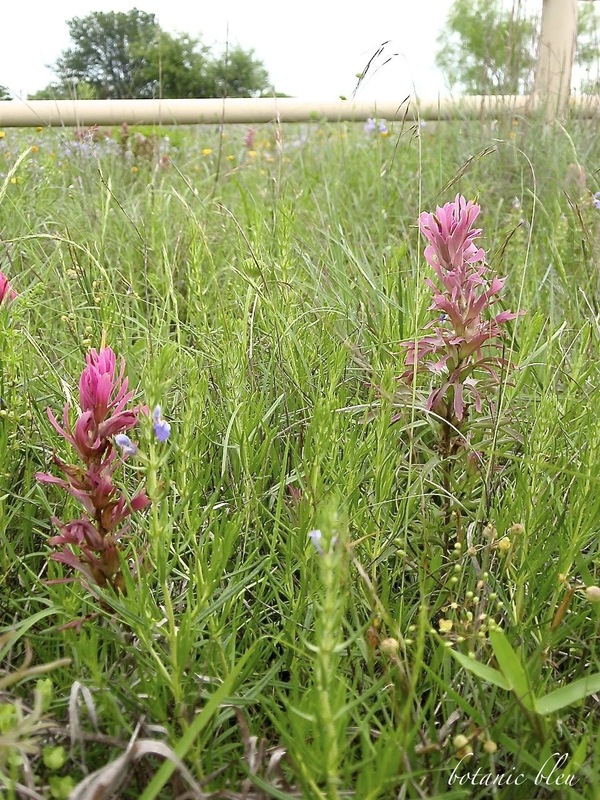 Instead, I now appreciate the plants that do flourish in Texas. The pinks, fuchsias, and peaches like these Texas Indian Paintbrushes are not as common as the orangey-red Paintbrushes that grow in the Dallas-Fort Worth area. 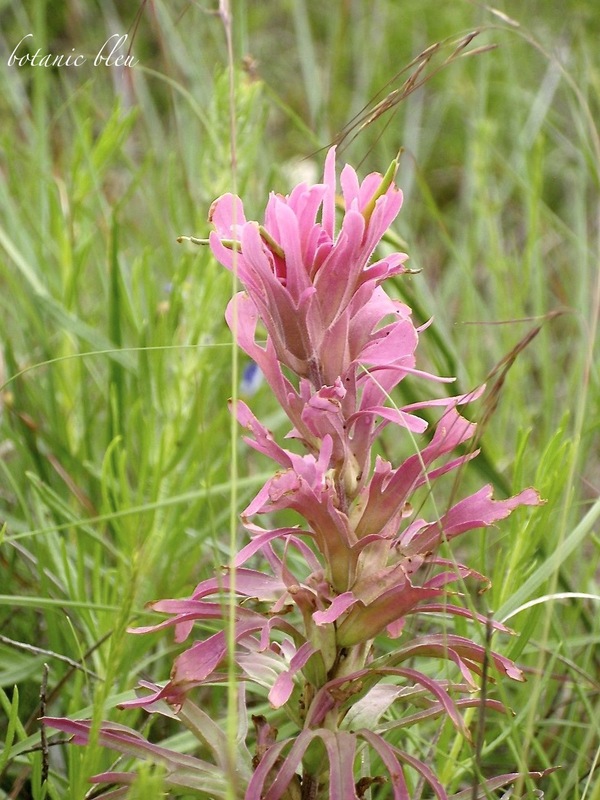 Each year I keep a look out for pastel Paintbrushes, and these pastel Paintbrushes were spotted in Brazos County. Texas is now my home by choice. Now retired, I could move anywhere, but I see beyond the bluebonnets to my friends and family who also are Texans. If you look for me, you know where to find me. 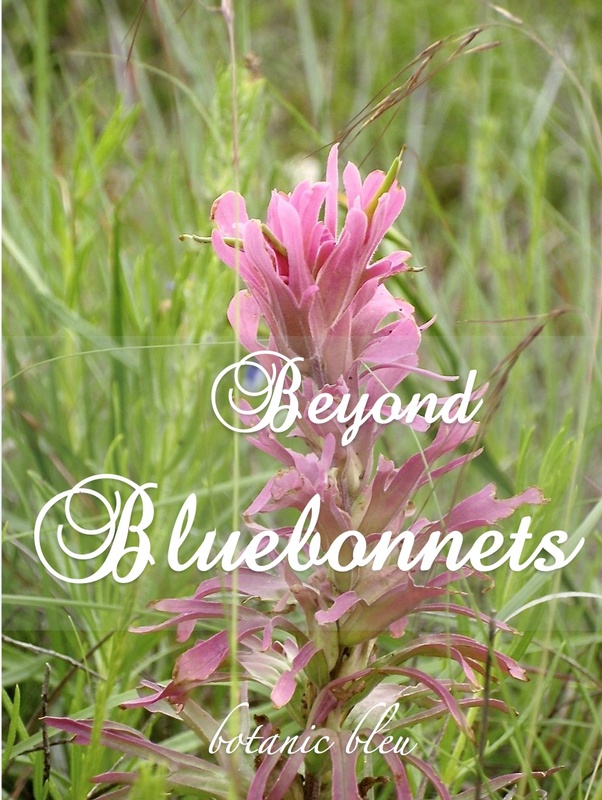 Want to read more about bluebonnets? Each picture made me smile. I have never seen a field of bluebonnets, but I certainly want to now. Love the wild flowers! Some years Arizona has plenty, but in the dryer years, it is more barren. I can relate to trying to grow plants from another area. Finally, one of my neighbors told me after a few years of seeing what I was doing, that I was planting at the wrong time of the year for Arizona! Of course, some plants I wanted still would not grow here, but our first house in Arizona had hollyhocks and other wild cottage flowers that I desired thanks to that sweet neighbor sharing the secret of timing in the desert! Your photos make me miss Texas all the more! I was born and raised in Alabama, but a good-looking, sweet-talking man brought me to Texas a few years ago and I think of it more as home than Alabama. While parts of it are dry, dusty and brown, there are parts like this that are so green and colorful with pretty flowers! I missed seeing the Bluebonnets this year and still hope to make it to the Hill Country to see the Whitebonnets! 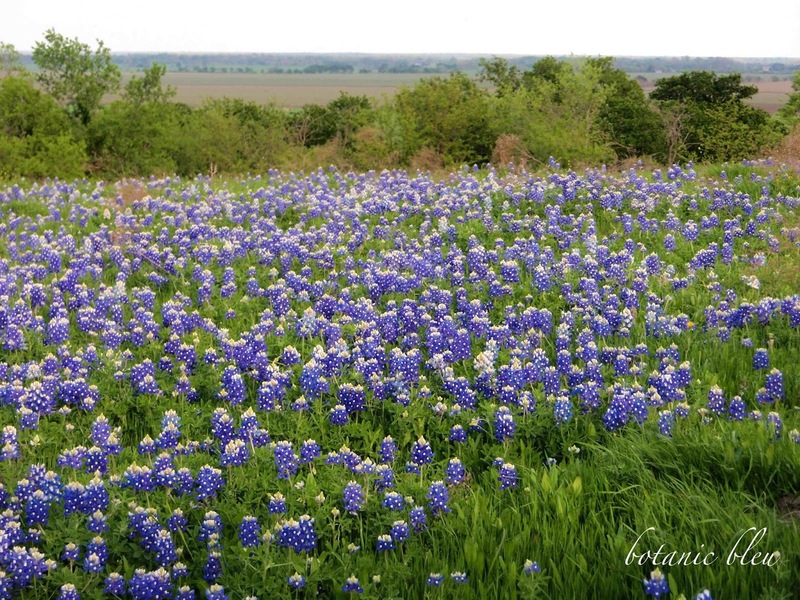 Have a great day and thank you for these sweet photos of the flowers of Texas! I am late to your very informative and enjoyable post. We make our home where are hearts feel loved. Wild flowers are so beautiful. It's a place I've always wanted to visit ! For many years Montreal had a famous race track called Blue Bonnets - it was many years before | knew that it was named after the flowers LOL ! I love your story..and Texas. Growing up in Wyoming, I saw lots of tumbleweeds, they are not as pretty to look at as these flowers of Texas. The The sceneries of the springtime blooms are so beautiful. I hope you will take us along on your drive next spring.